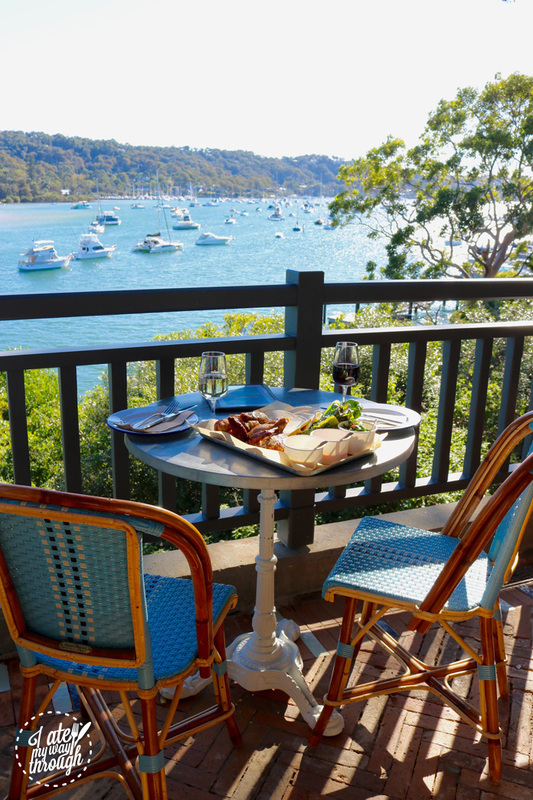 Landmark historical hotel The Newport with its waterfront views and sprawling outdoor dining area is one of the Northern Beaches’ most iconic venues. 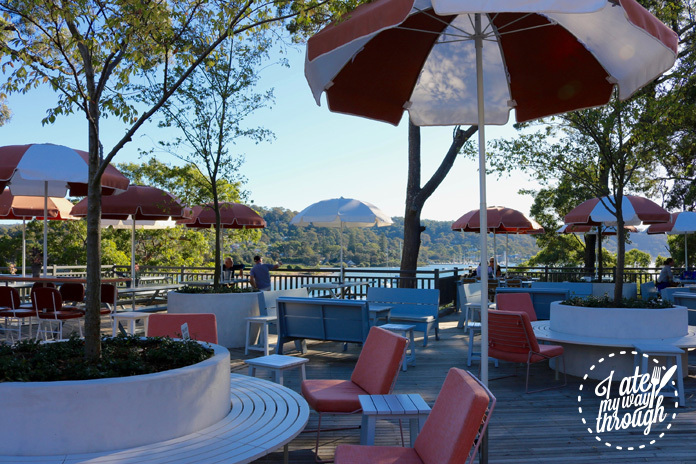 Recently rejuvenated to make it a premium dining destination for locals and visitors alike, The Newport is perfect for all ages. 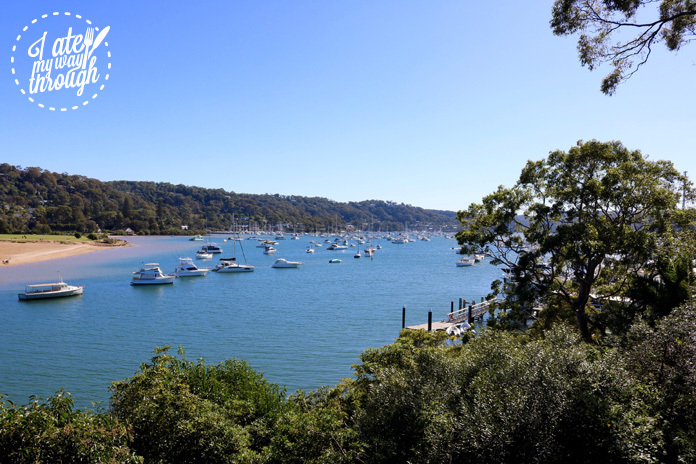 The best elevated views of Pittwater! Previously known as The Newport Arms, the venue has stood on the same site since 1880, making it one of the area’s oldest establishments. It used to be a frequented watering hole for bushrangers, and a place no respectable person would ever venture into. However, after a visit from royalty in 1881, it quickly became a local favourite. 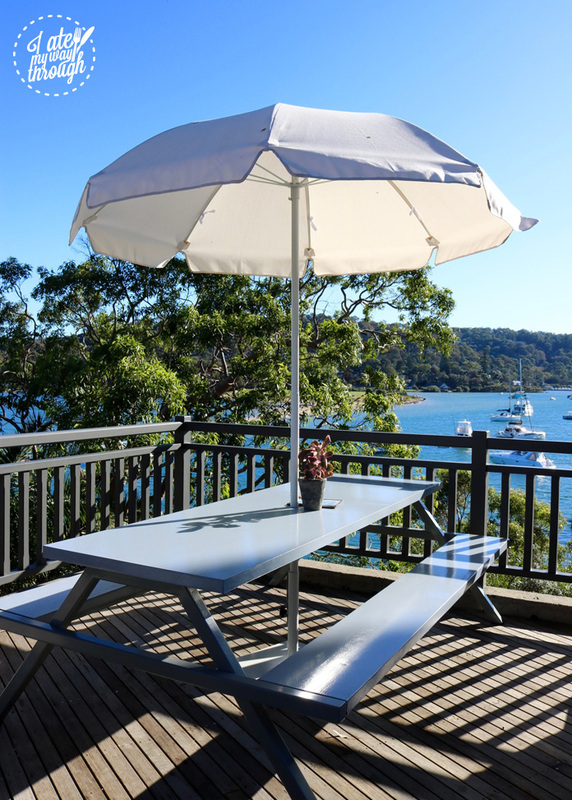 Today, it is chic and trendy, boasting some of the best elevated views over Pittwater. The Newport is owned by umbrella company Merivale, and underwent a major renovation that was unveiled in March this year. Going from the outside in, the overhaul included major changes to the restaurant’s outdoor dining area. The concept is fantastic – it channels a community-based market place, with different food stalls offering a huge variety, perfect for everyone from burger-eating hipsters to seafood connoisseurs. The Shack, nestled nicely in a cactus garden. The Seafood Market – a selection of fresh and cooked seafood. There’s The Shack, offering salads, sandwiches, burgers and fish & chips; the Seafood Market, with fresh prawns and oysters, a crab omelette and spicy seafood noodles; The Kiosk, serving a selection of daily smoked, BBQ and rotisserie meats (as well as sweets and pastries); and wood-fired pizza from the maestro himself, Vincenzo “Vinnie” Biondini. Vinnie’s Pizza – they’re so fresh they only need 90 seconds in the oven. Each space is discovered gradually as you wander through the venue, and each area has its own distinct identity. 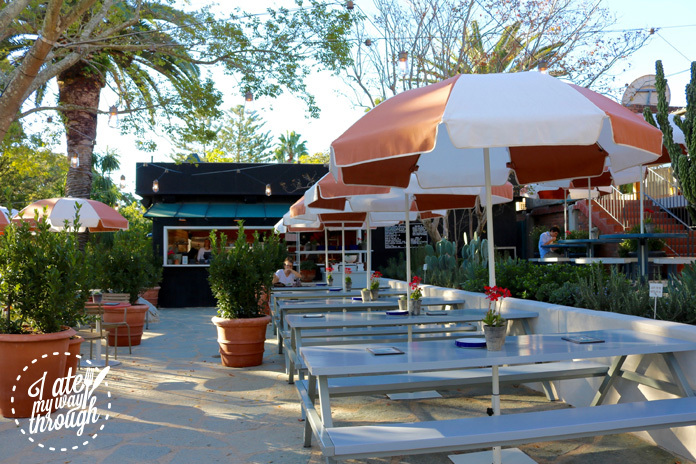 Sit in a cactus garden while you inhale your burger, or perch by beautiful mosaic tables while you munch on your prawns. Furnished with locally made pieces, they drew design inspiration from various places across the world – Montauk, The Hamptons and the Mediterranean. The overall vibe is fun and relaxing. The Kiosk – cocktails, meat and sweets! 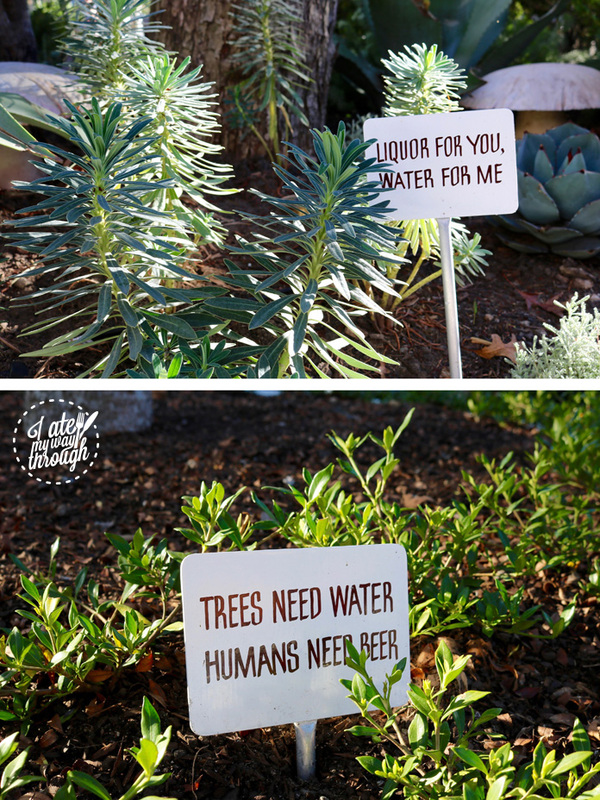 There’s also an extensive wine, beer and cocktail menu, a juice shack where you can get fresh juices (and ‘adult’ juices too! 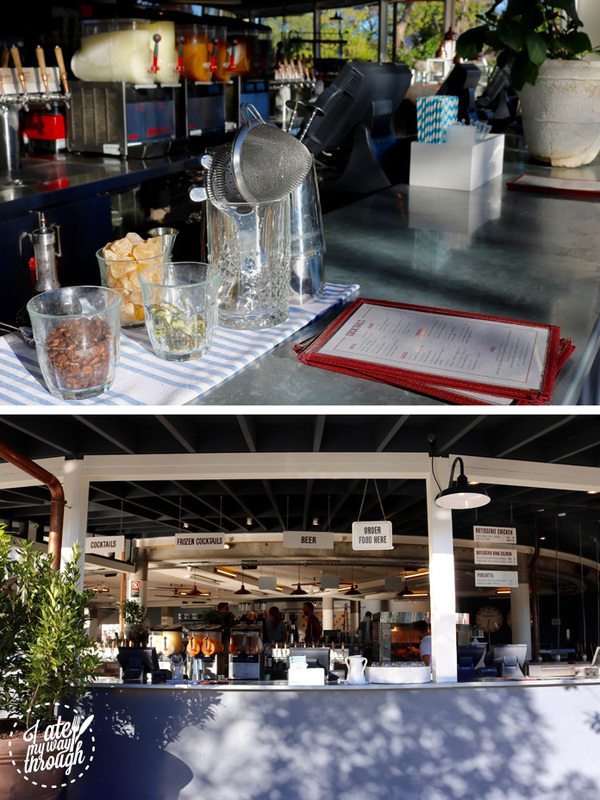 ), smoothies, milkshakes and gorgeous fresh-brewed Sydney coffee from Will & Co. So really, The Newport is great for any occasion, at any time of day! The venue is pet and family friendly, with lots of space for your little ones (furry or not!) to run around. There is also a kids’ play area, inspired by quaint, vintage gymnasiums, with subdued hues and lots of wood. 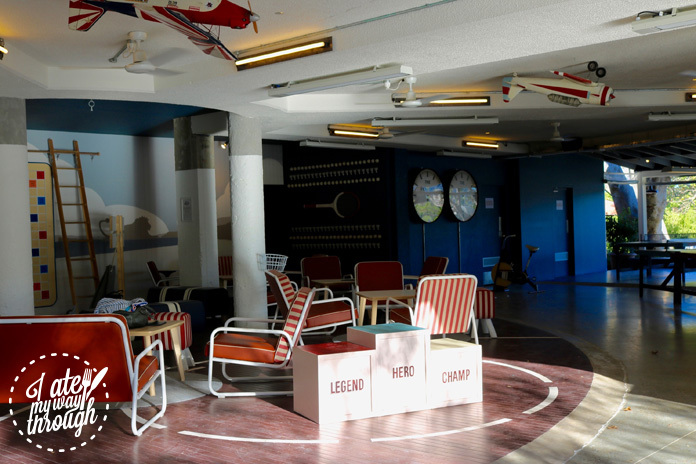 There’s badminton, ping-pong, bikes that charge phones, a giant scrabble board and other classic games, along with a lounge area and a toy box. Kids can even swim in the little paddling pool when it gets too hot! The perfect place for little ones to cool down in summer. Executive Chef Sebastian Lutaud is at the helm of The Newport’s culinary vision. 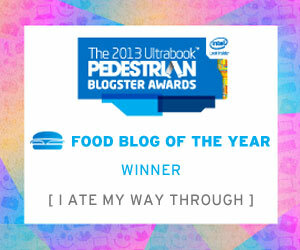 His food philosophy is simple: good, honest food without the gimmicks. 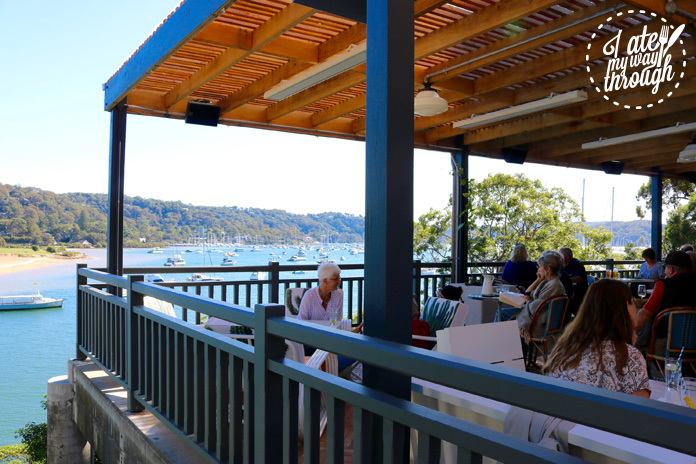 Their menus reflect the relaxed atmosphere that is so characteristic of the Northern Beaches, and perfectly complements their chilled venue. The food may look like basic pub fare on paper, but it’s anything but – Lutard has worked hard to make sure his food is bursting with flavour, with the secret ingredient being a lot of love. 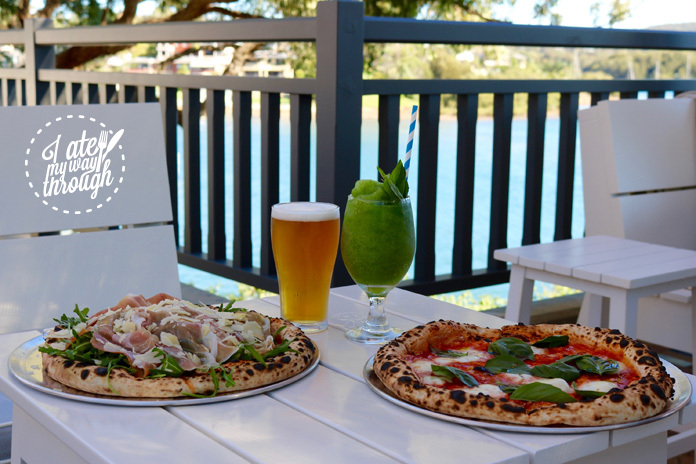 Pizza, alcohol and a stunning view – perfect combination! 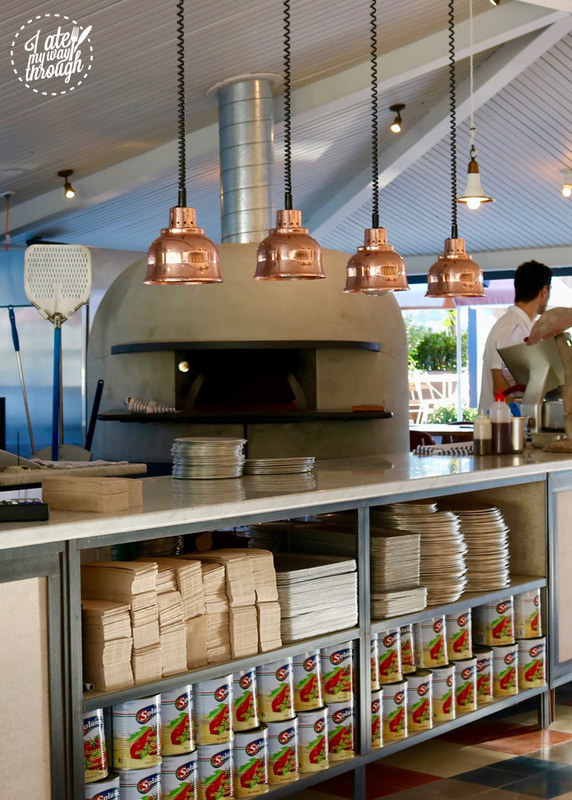 Vinnie’s famous wood-fired pizzas ($11-$24) are a crowd favourite here, with their thin, fluffy base and delectable, fresh toppings. The flavour in the dough is incredible, and with only 90 seconds cook time, they are made to order and cooked to perfection. Everything is made on site, I’m told, “with a lot of love”. 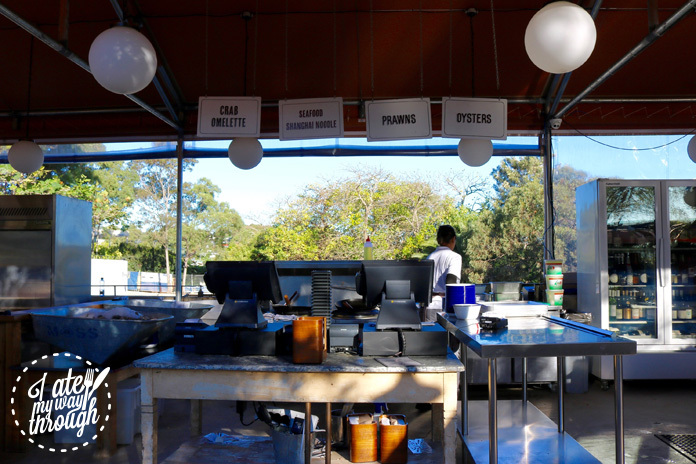 The Kiosk is also hugely popular, with their selection of delicious rotisserie meats. The Chicken (half $24 or whole $40) I had was salty, crispy, smokey, tender and juicy. 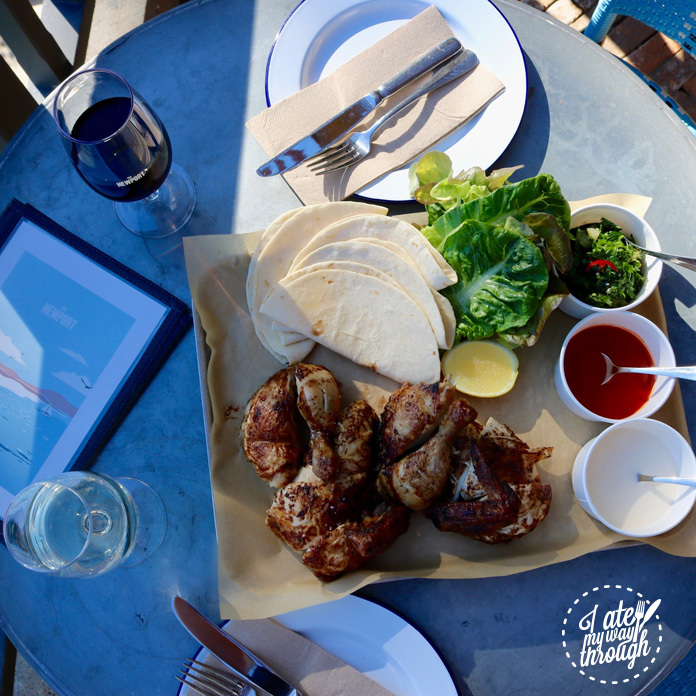 It came served with a selection of sauces, salad and tortillas – a perfect sharing dish for those who don’t mind getting their hands dirty! Bubbly, spicy noodles and a crab omelette. Heaven! 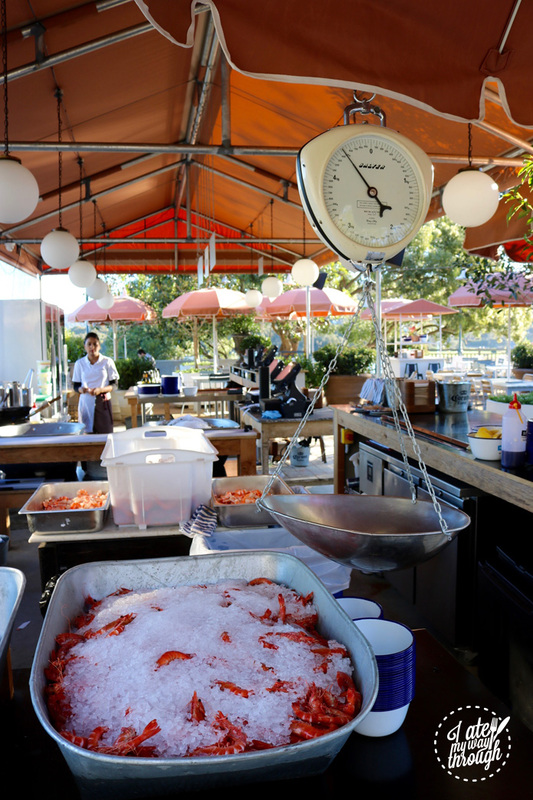 The Seafood Market has barrels of fresh prawns, and oysters by the dozen for those lovers of the sea. The Crab Omelette ($17) is a local favourite – the sweet crab meat is balanced perfectly with the salty, tangy Vietnamese salad and dressing. 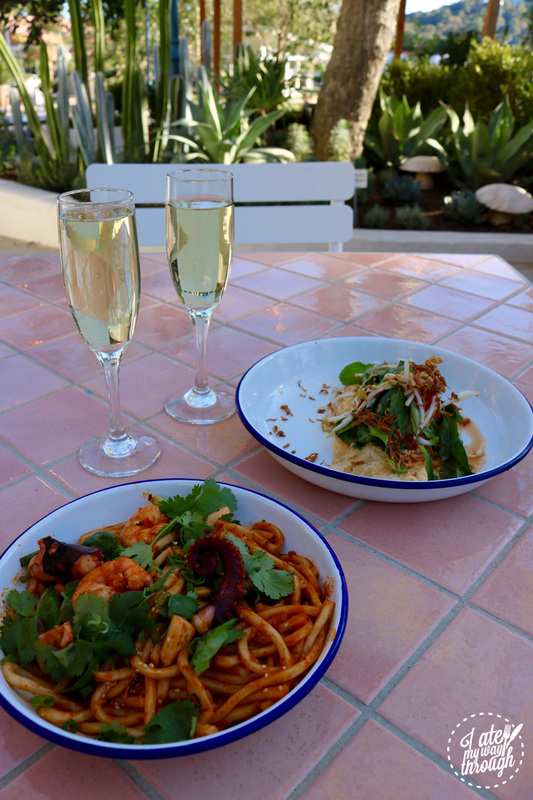 The Spicy Seafood Noodles ($18.50) are hearty and warming, the perfect dish going into the cooler months. With a generous amount of seafood (scallops, prawns, squid and octopus) and substantial Shanghai noodles, it’s a lovely autumnal dish. Community is at the heart and soul of this establishment. 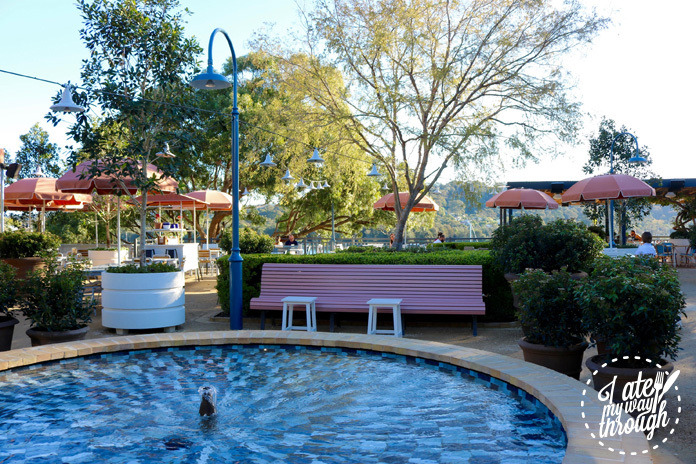 The Newport employs over 500 locals, and during the renovations the team were conscious of retaining the essence of the hotel as a local favourite. 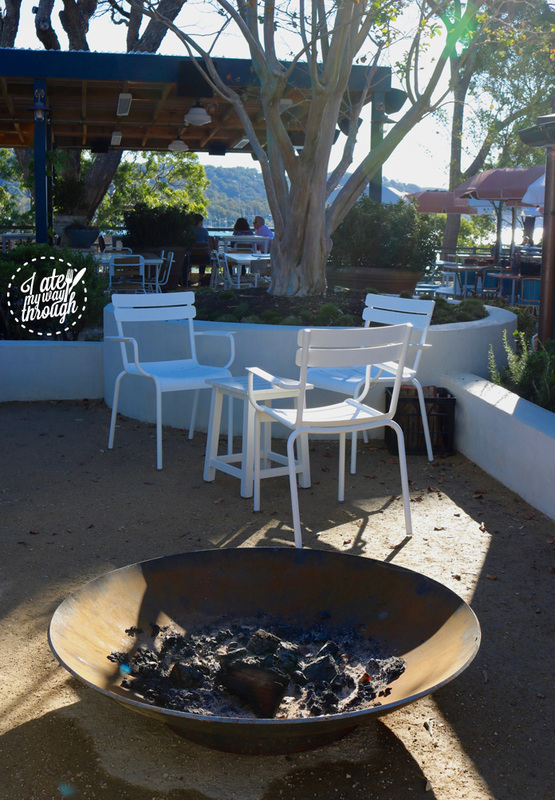 As the nights get cooler and we head into winter, there are a couple of cozy fire pits to warm you up! The sun-dappled courtyard reminds me of summer in Nice, with its pastel pink and white colour scheme. It’s very trendy and mediterranean, and I could easily while away the afternoon here, sitting in the sun and sipping on cocktails. This renovation is the first of three that Merivale are planning for The Newport. The next two phases of its gradual transformation will be revealed later in the year. Can’t wait to see what wonders are revealed! A free courtesy bus runs from Fridays to Sundays, covering surrounding suburbs and transfers to and from Manly – perfect for those boozy weekends and Sunday sessions!